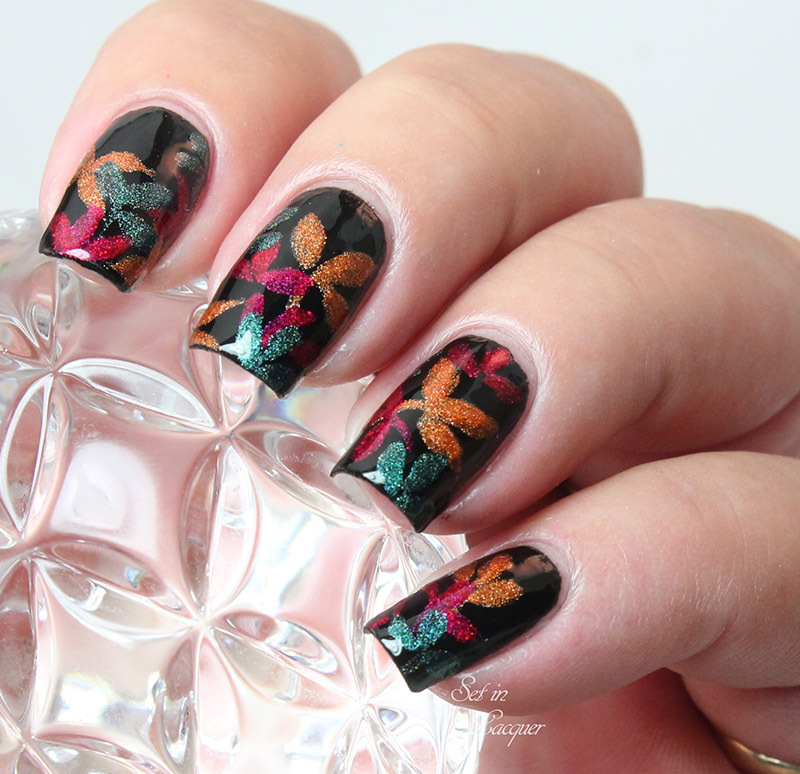 For September's Lacquer Legion theme - "Crisp," I stuck with the traditional version of Fall - Autumn leaves. This time of year the leaves are at their most brilliant. The vivid oranges, reds, and even greens intermingle into a dazzling show of how beautiful nature can really be. For this mani, I used a base color of Milani Black Swift. 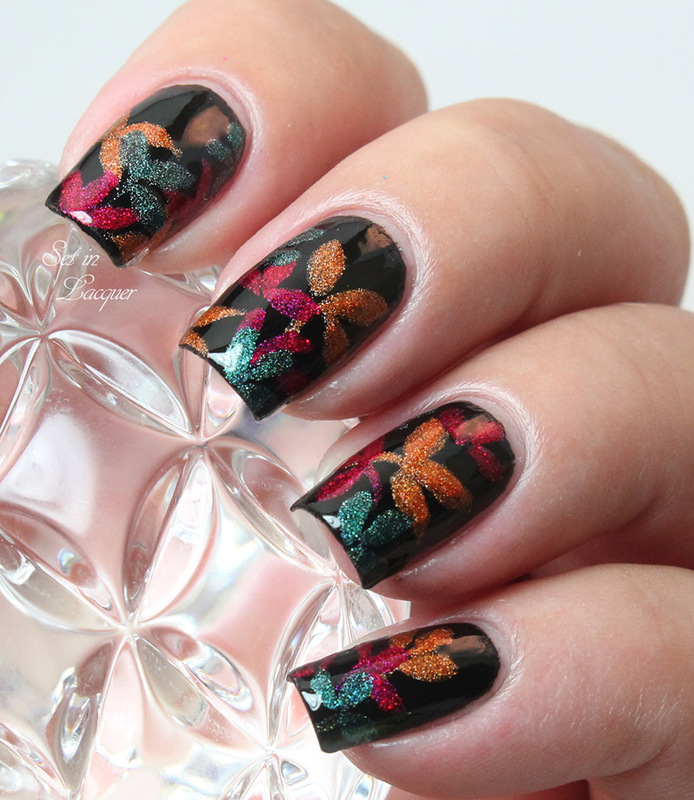 I added abstract leaves using Darling Diva "The Alchemist," which is a brilliant holographic red; Darling Diva "Cast a Spell," which is a perfect holographic autumn orange; and Darling Diva "The Witching Hour," which is a stunning holographic deep green shade. You can see swatches of the full Darling Diva collection here. 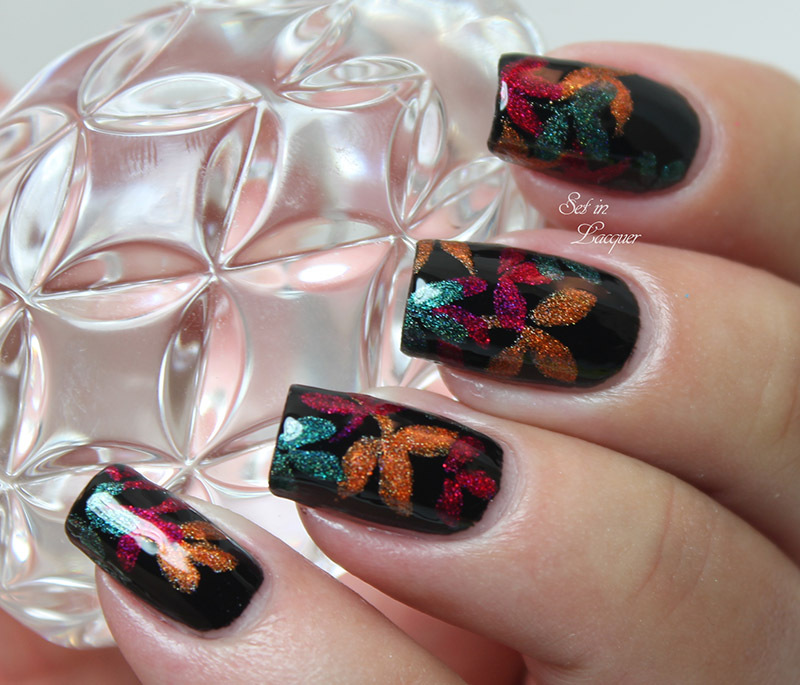 I love how the holographic polishes appear jewel-like against the black creme base. I finished off with a coat of HK Girl top coat. Are you participating in the Lacquer Legion Challenge? Follow The Lacquer Legion on Facebook for upcoming prompts and info.